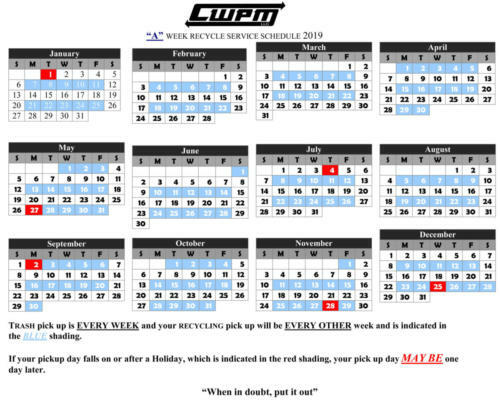 Trash pick up is EVERY WEEK and your recycling pick up will be EVERY OTHER week and is indicated in the BLUE shading. 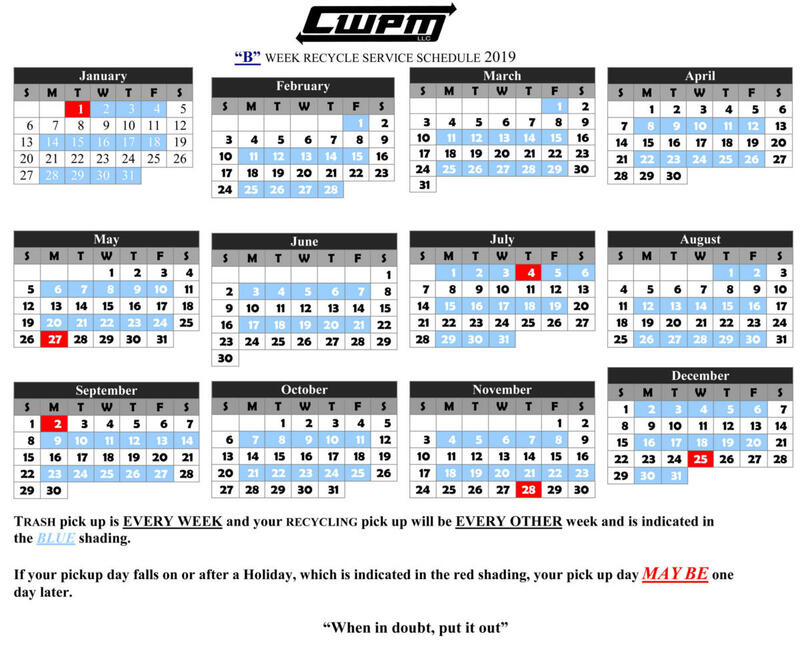 If your pickup day falls on or after a Holiday, which is indicated in the red shading, your pick up day MAYBE 1 day later. 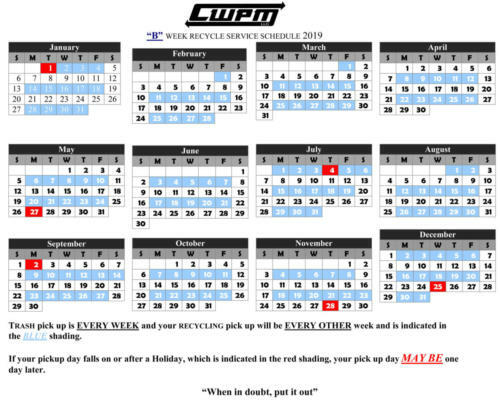 CWPM can help you with your waste removal and recycling needs for large projects such as remodeling, renovation, or home cleaning. 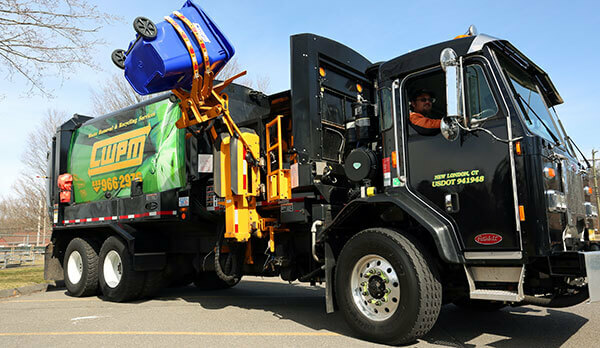 Contact our knowledgeable staff today at 860-747-1335 to discuss what size dumpster would be best for you. Need to know what's okay to recycle? Click here to view the Guide to Recycling to learn the in's and out's of recycling.